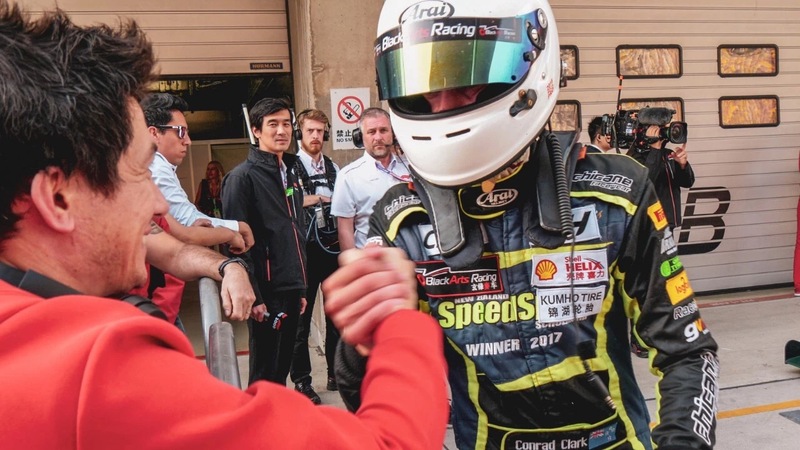 Last weekend, FIA China F4 Series Championship-winning team BlackArts Racing [www.blackartsracing.com] took a dominating two for two wins and a 3rd place in the opening round of the 2019 FIA China F4 Championship, held at Shanghai International F1 Circuit. 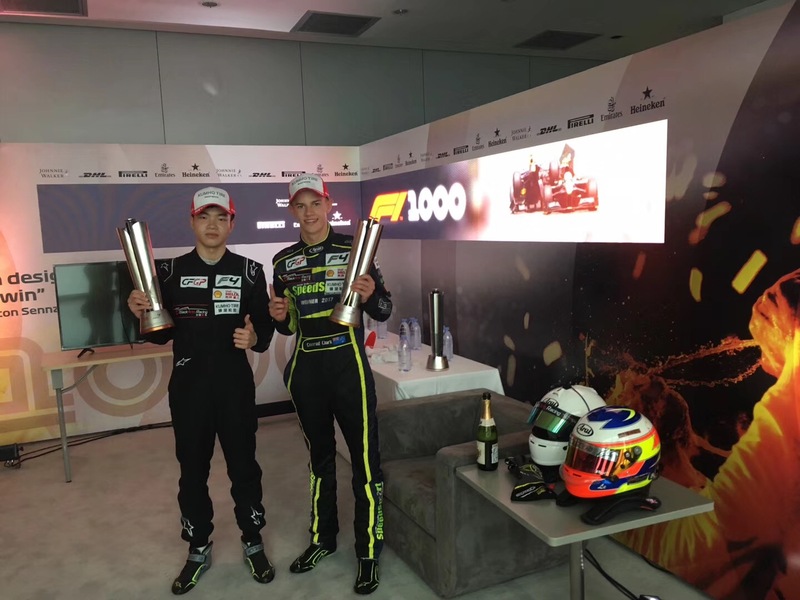 Round One was held as a support event for the historic 1000th race in the history of Formula One, at the famed Shanghai track. BAR fielded a four driver international line-up: F4 young guns 16 year old New Zealander Conrad Clark [www.conradclarkmotorsport.com] and 18 year old Eric Sun of China, as well as F4 newcomers ZhiWei Lu of China and Nic Lai of Macau. 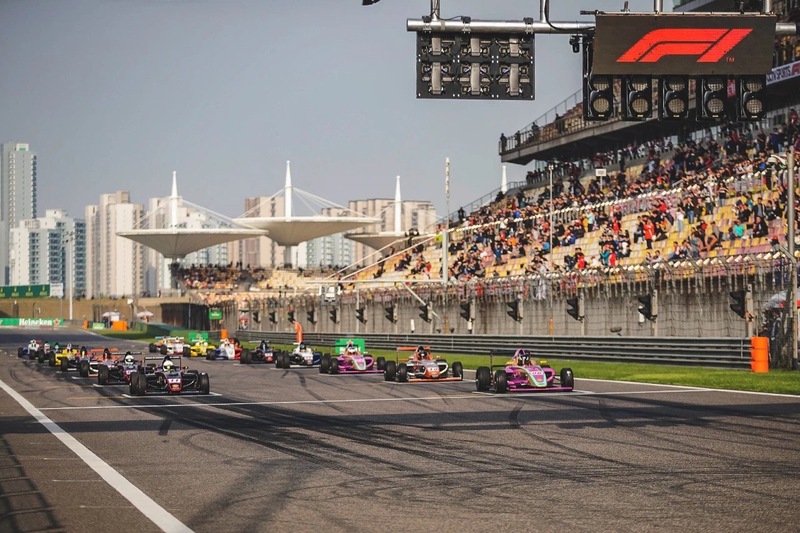 Due to the compressed F1 race event schedule, FIA China F4’s Round One held a single Official Practice followed by Qualifying, on Friday, then two races over Saturday and Sunday instead of the usual three. In Official Practice, BAR’s Conrad Clark and Eric Sun led the 17 car field, while Lu began to learn the techniques of piloting the F4 race car but after just three laps was hit off the track by a competitor. Meanwhile, unfortunately Lai had technical issues in his Mygale car. Qualifying didn’t turn out as expected, with Conrad Clark taking 3rd and Eric Sun 5th. However, F4 rookie Lu made a six second improvement in the qualifying session and placed 10th, though Lai continued to be plagued with a technical issue. However, BAR’s fortunes changed in Saturday afternoon’s Race One, held at 4:20pm under the weekend’s excellent clear skies and cool 15-20c weather. With the red starting lights only coming on for about two seconds, a well-prepared Conrad Clark got off to a perfectly timed launch and simply left the field behind. With an amazing flag to flag drive, Clark finished almost 6 seconds ahead of P2 in the 9 lap race. Eric Sun had held onto 3rd for most of the race, unfortunately being passed with two laps to go and finishing 4th. ZhiWei Lu improved his laptimes by another two seconds, and finished 9th. Finally, after valiant efforts by BAR”s technical staff, Nic Lai’s technical issues were remedied before the race and he managed to finish 14th. Sunday’s Race Two was held at 9:40am and saw even better results for BAR drivers: At the start, Conrad Clark spent the first few corners behind Heng Min of Star Racing, before passing him and then leaving the field far behind – Clark finished with an amazing 9.3 second gap to 2nd place Heng Min, with Clark taking his second of two wins for the weekend on the circuit’s Formula One podium. BAR’s Eric Sun also took to the podium in 3rd, finishing less than 0.2sec behind second place Heng Min. Meanwhile, the team’s F4 newcomers ZhiWei Lu and Nic Lai finished 8th and 11th, respectively, both continuing to improve both results and laptimes. BlackArts Racing is currently leading the FIA China F4 Championship, complementing its lead in the Asia Formula Renault Championship. 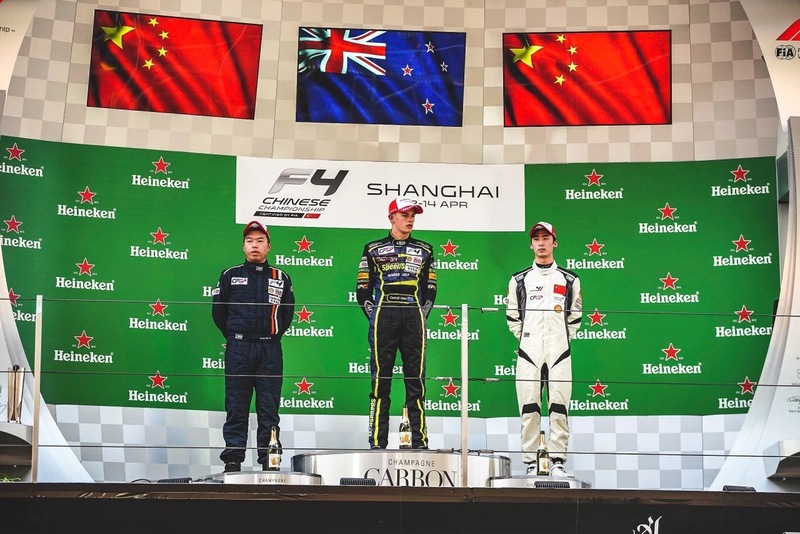 The six-round, 17-race FIA China F4 series will next visit the Zhuhai International Circuit on May 2nd -4th. Please visit www.BlackArtsRacing.com and on facebook, www.facebook.com/BlackArtsRacingBaR for updates and contact sales@blackartsracing.com for racing and testing inquiries.